Kidneys that are used for deceased donor transplantation are donated by individuals families that have died tragically and suddenly, mainly from car accidents or a brain haemorrhage. These donors have had a severe and irreversible brain injury that they cannot recover from and are determined to be ‘brain dead’ - that is their heart and body is maintained alive but their brain has died. Their bodies are maintained on a breathing machine and their families are asked to give consent for their organs to be used for transplantation. 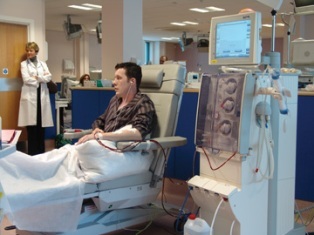 Unfortunately, at present, the need for kidneys is higher than the number of kidneys available for transplant. Currently, there are in excess of 500 people waiting for a kidney transplant and between 140 and 170 transplants are performed annually. Deceased donor kidney transplantation has an advantage in that a living donor does not need to undergo a kidney donor operation which has associated discomforts and risks. The disadvantage, however, is that there is a world-wide shortage of kidneys to transplant and people have to wait quite long periods of time for one to become available. Currently, the Irish average waiting time for a deceased donor kidney transplantation is 2 to 3 years. Is A Transplant For Everyone With Kidney Disease? While a kidney transplant can be a very successful operation, it does require a major operation lasting up to 3-4 hours. Not all patients with kidney disease will be medically fit to cope with this procedure. Patients with severe heart disease, history of stroke or peripheral vascular disease are often better served by continuing on dialysis rather than having a kidney transplant. Patients that have had a history of cancer (except skin cancer) generally need to wait five years, after definitive treatment for the cancer, before going on the transplant waiting pool. over 70 years of age, who do not have other associated illnesses such as heart disease, history of stroke or peripheral vascular disease, will be accepted on the transplant waiting pool. In allocating kidneys, there are competing priorities. There is a need to do the best for the individual patient but also the best for society in general, by allocating the scarce supply of kidneys to patients who will get many years of success. Kidney transplantation is a major surgical procedure with a success rate of about 95%. That is, 95% of kidneys transplanted will be functioning one year after the surgery. Viewed another way, about 5 people in a 100 will not have a successful outcome from kidney transplantation. In general, about 3 patients in 100 will die, either during the operation, or shortly afterwards. Preoperation testing, minimises these risks; nonetheless, you should be aware that there are significant risks associated with transplant surgery. Other risks associated with transplant surgery will be discussed later in this book, but the transplant medicines necessary for the transplant to function, can cause side effects including diabetes, increased risk of infection, weight gain, increased risk of skin cancer and, rarely, lymphoma, (a form of cancer). 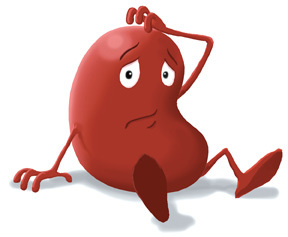 There is also approximately a 10% risk of transplant rejection, which can be treated with courses of medicine, but still represents a risk to your new kidney. By following your doctor’s instructions, and having regular medical check-up’s you can help minimise the risk of your new kidney failing. The outcome of kidney transplantation needs to be compared with the alternative, which is many years of dialysis. In general, kidney transplantation results in more than doubling of life expectancy, when compared to remaining on dialysis. Deceased donor kidney transplants function for an average of 15 or 16 years. 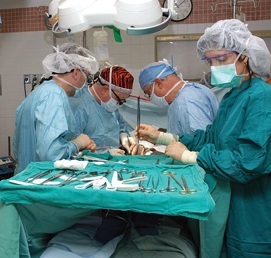 A live donor transplant functions for an average of 17 to 20 years and a fullhouse matched live donor kidney transplant functions for an average of 32 years. Patients who have developed kidney disease due to Type 1 diabetes may benefit from having a simultaneous pancreas and kidney transplant (SPK). This option is only suitable for Type 1 diabetes. It is not suitable for Type 2 diabetes. Type 1 diabetes results from the body’s failure to produce insulin and presently requires the person to inject insulin. Type 2 diabetes results from insulin resistance, the cells fail to use insulin properly. During a SPK procedure a whole pancreas is stitched onto the vessel going to one leg and the kidney transplant onto the blood vessel going to the other leg. It is important to realise that a SPK transplant is a much bigger and more difficult operation than a kidney transplant alone. Currently the results of SPK transplantation are very good with a one year survival of 95% and a 5 year survival rate of 90%. Kidney pancreas transplantation should be considered the treatment of choice for all otherwise well young patients with renal failure from Type 1 diabetes.